Facebook CEO Mark Zuckerberg is in Nigeria. News of his unannounced trip broke Tuesdaywith social media photos of him visiting the Co-Creation Hub (Cchub) innovation center in Lagos. Zuckerberg then dropped in at Andela, a software developer accelerator, in which he and his wife’s foundation invested $24million earlier this year. It seems Mark Zuckerberg travels a bit like the president! Per CcHub CEO Bosun Tijani’s account. “Facebook told us a few weeks ago there would be a visit by the partnerships manager. Then they told us a few days ago it could be Mark, but it was all top secret until today,” he told TechCrunch. Zuckerberg met with coders in CcHub’s co-working space and then visited the incubation space, where he talked with reps from bookings startup Hotels.ng and LifeBank App, a digital blood donor database. So what brings one of the world’s most recognized tech executives to Nigeria? “I’ll be meeting with developers and entrepreneurs, and learning about the startup ecosystem…” Zuckerberg said in a Facebook post. As far as any new Africa business commitments, “We are not announcing anything,” Facebook spokesperson Sally Aldous told TechCrunch via email. And for the rest of his visit, several Nigerian startup heads said they’d been invited to a Facebook townhall and Q&A with Zuckerberg on Wednesday. From Boko Haram to government corruption, Nigeria has its share of well publicized challenges, but as we’ve reported over the last year, it’s also become a hotbed for tech activity and investment. Lagos’s Yaba district, where Zuckerberg first visited, has become a magnet for IT entrepreneurs, startups, and incubators drawing thousands of members. Three of the continent’s best funded/well known e-commerce ventures—Jumia, Konga, and MallforAfrica— are all headquarted in Lagos. Nigeria produced one of Africa’s notable 2016 exits with Swiss Ringier’s acquisition of online deals startup DealDey. Nigeria made global tech headlines in March when Jumia Group (previously A.I.G.) became Africa’s first startup unicorn via a $326 million investment round including Goldman Sachs and AXA insurance. In May Nigeria received priority from Facebook when it announced a partnership with Airtel, called Internet.org Free Basics (which was rejected in India), allowing Nigerians to access certain internet services free on mobile. And in June eBay announced Nigeria as the opening country for its Africa expansion. Underlying this shift in focus to Nigerian tech, versus other African IT brightspots like Kenya or South Africa, are economics and demographics. Nigeria has dual distinctions as Africa’s most populous country (183 million) and largest economy with half a trillion dollars in output). Granted, Nigeria’s markets and currency have taken a beating over the last 6 months, these population and business factors have created a compelling investment thesis for tech entrepreneurs and investors to scale in Nigeria first, then outward. Facebook’s obviously noted much of this. It’s likely many of these themes will echo during Zuckerberg’s townhall Wednesday and throughout the remainder of his Nigeria visit. On a business level, Facebook has 120 million users in Africa, 84 million of whom are in Sub-Saharan Africa. With 17 million users, Nigeria is the company’s largest Sub-Saharan African market, followed by South Africa (14 million), and Kenya (5.7 million), according to spokesperson Aldous. A particular Africa play for Facebook will be tapping the online advertising market that’s rising with the continent’s shift to digital commerce. Africa’s online sales are expected to top $75 billion on by 2025, with $10 billion of it occurring in Nigeria. 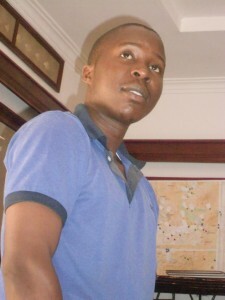 In a 2014 Facebook Business post the company highlighted its Africa growth as “a new opportunity to bring value to both people and advertisers.” When Facebook opened its first Africa office in South Africa in 2015, it appointed Ogilvy and Mather advertising executive Nunu Ntshingila as Head of Africa. Whatever Facebook’s long term Africa strategy, and even without new commitments, Zuckerberg’s visit carried a huge amount of significance for Nigeria and beyond. “Here in Yaba, we’ve been working to build a tech ecosystem literally from scratch. For him to come here was a big validation for what we’ve been doing,” said CcHub’s Tijani. 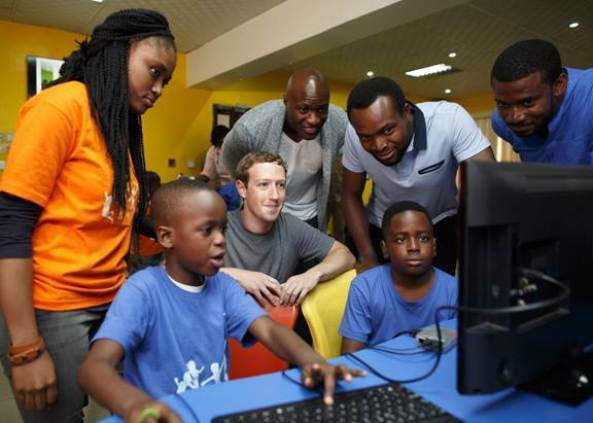 Tijani believes perhaps the biggest beneficiaries of Zuckerberg’s visit could be 60 “Summer of Code” students between the ages of 5 and 18 with whom Facebook’s CEO sat down and practiced programming. “Today was their graduation day and they got to do it with Mark Zuckerberg. It’s hard to estimate what impact that could have,” he said.